Have I only been traveling to Namibia since 2011? And, have I only not been there in little over a year? It sure feels like a lot longer than that. I saw some photographs from Namibia shared on social media this past week that looked very similar in composition and style to the ones I had made a few years ago. So, I went on mission to unearth those photographs. In addition to finding what I was looking for I found a few more interesting ones. 2012 – Rhino at Okaukuejo. It is rare to see a rhino when there’s still sunlight at this waterhole. There’s a fantastic silhouette of animals’ reflection on the water (depending on time of the year). 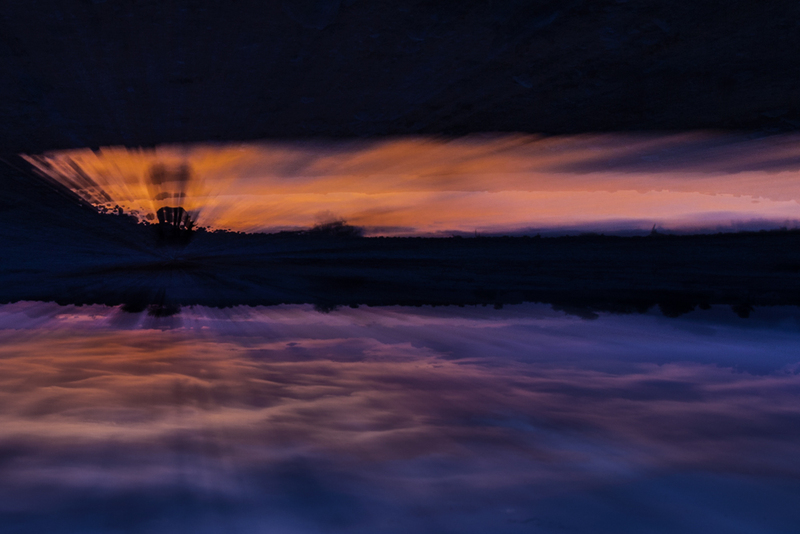 I turned the camera upside down to make the silhouette the main focus point. I then zoomed out during exposure to make get the zoom burst, and cropped to make it off-center. 2012 – Springboks and elephant. Two springboks feel it is safe to drink close to the old bull. 2013 – Flamingo continuum. 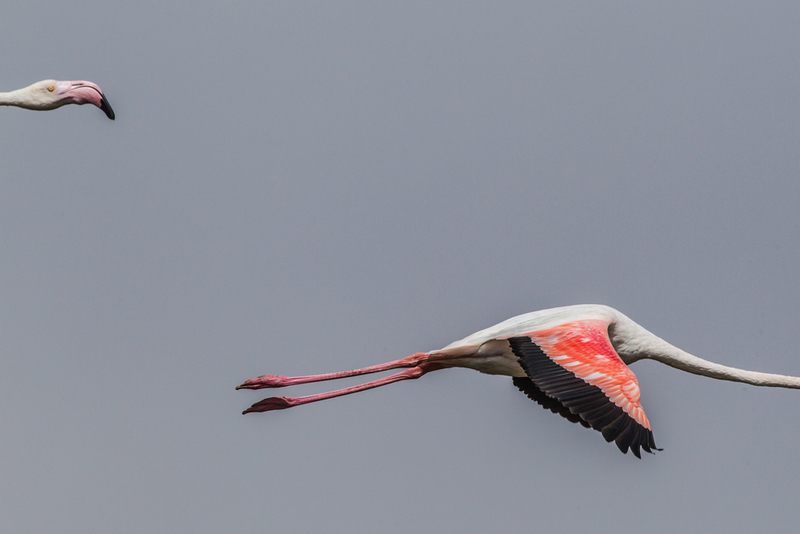 From a distance, flamingoes seem to fly in a straight line. I wanted a photograph where one is exiting the frame as another one is entering. That was easier thought than done as they rarely fly close enough or along the same plane. 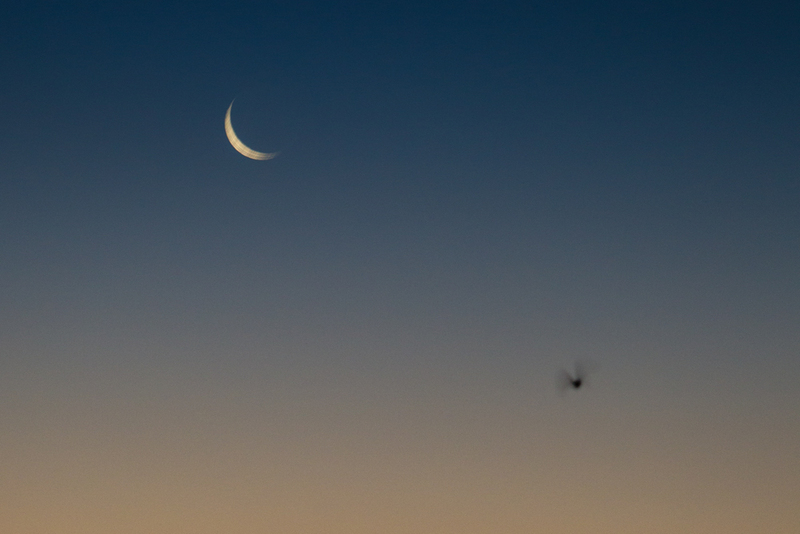 After hundreds of flybys in Walvis Bay, I finally got this just in time before the tide moved in and sent me packing. 2013 – Springboks drinking. 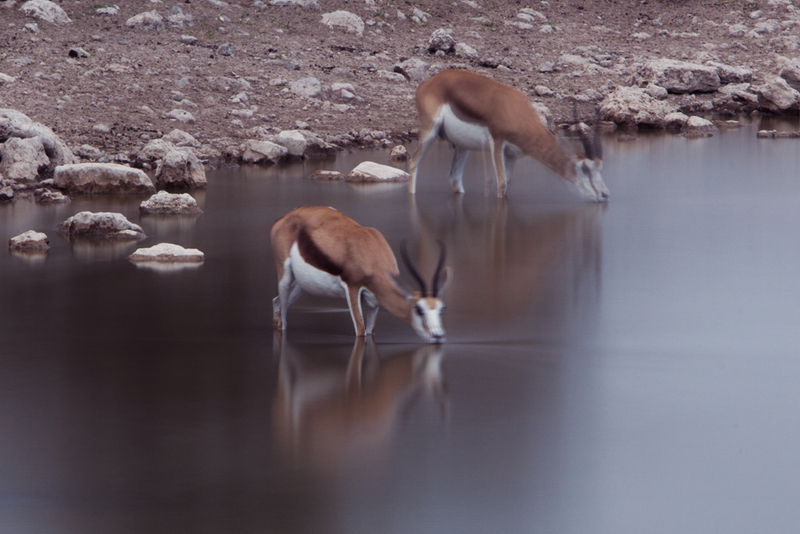 It is amazing to see how still the bokkies are when they drink. I stacked up a couple of ND filters to see exactly how still they are over several seconds. 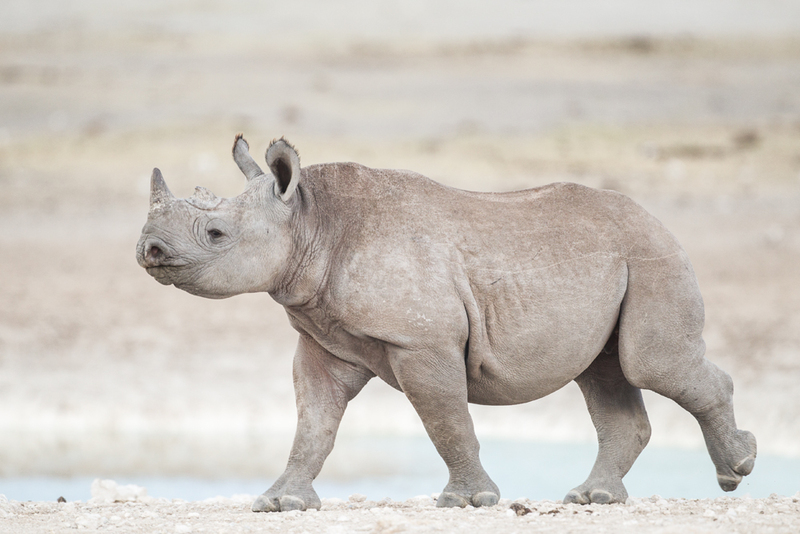 2012 – Young black rhino. 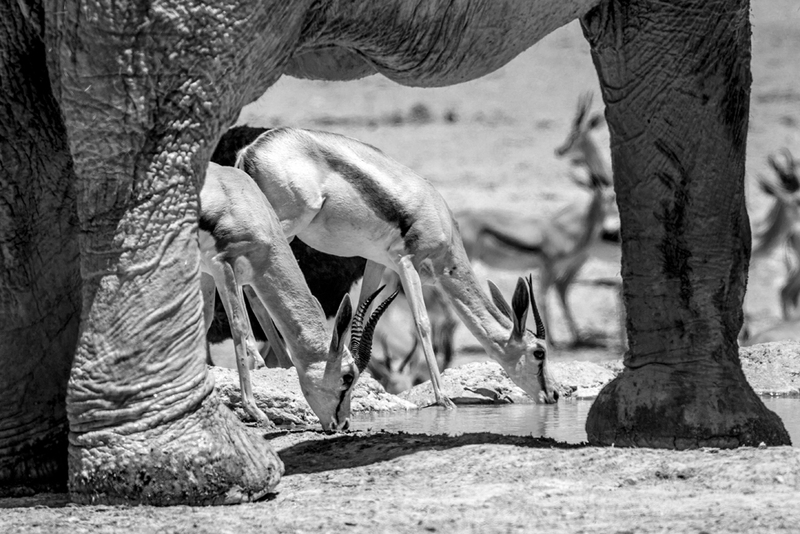 2013 – Okaukuejo waterhole. 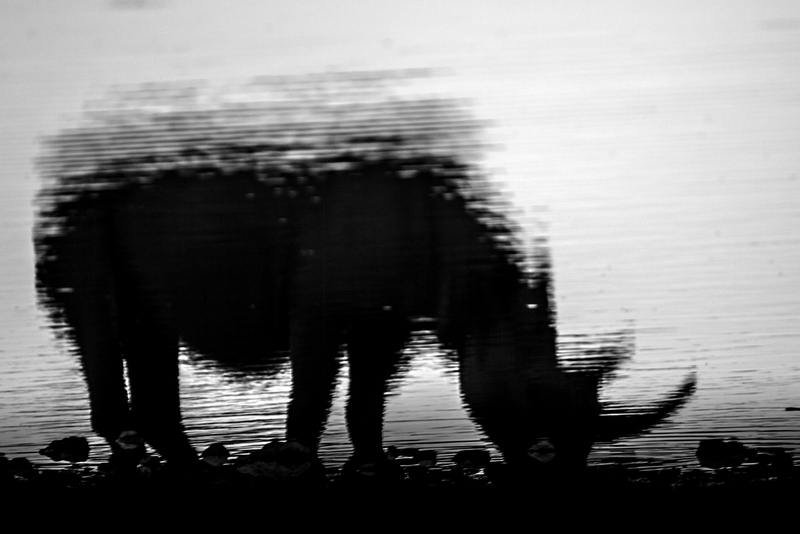 Another experiment like the rhino one to make the waterhole reflection look upright. 2013 – Sandgrouse. At moonrise, sandgrouse come to water for quick drink, stock up water for their young ones and quickly fly away. 2013 – Rhino mock charge. 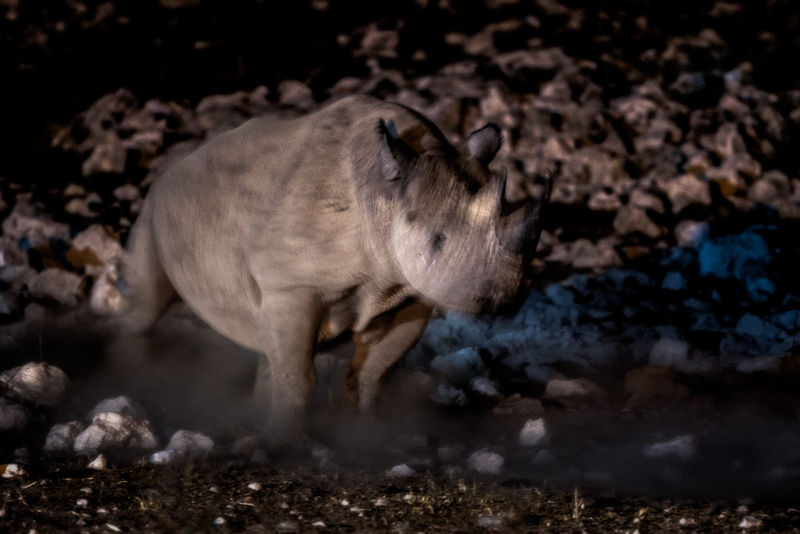 Kicking up dust, violently shaking its head and grunting, a rhino makes its intentions clear. 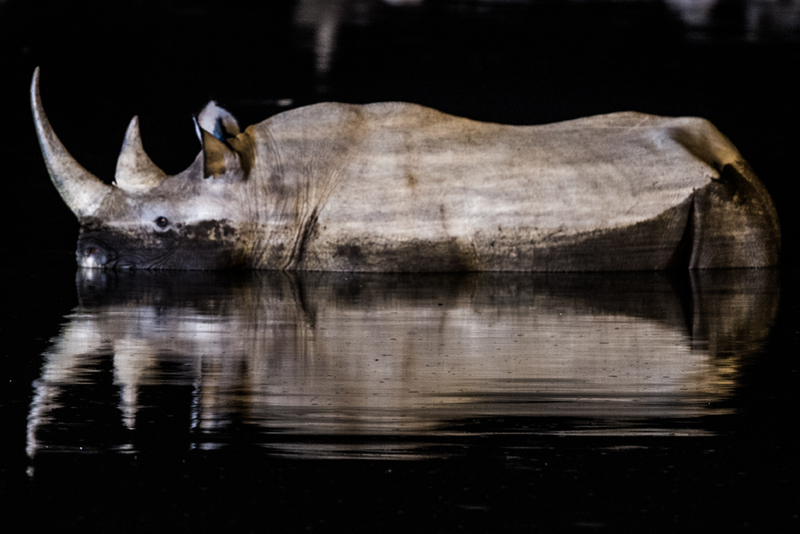 2013 – Rhino cooling off in the Okaukuejo waterhole. 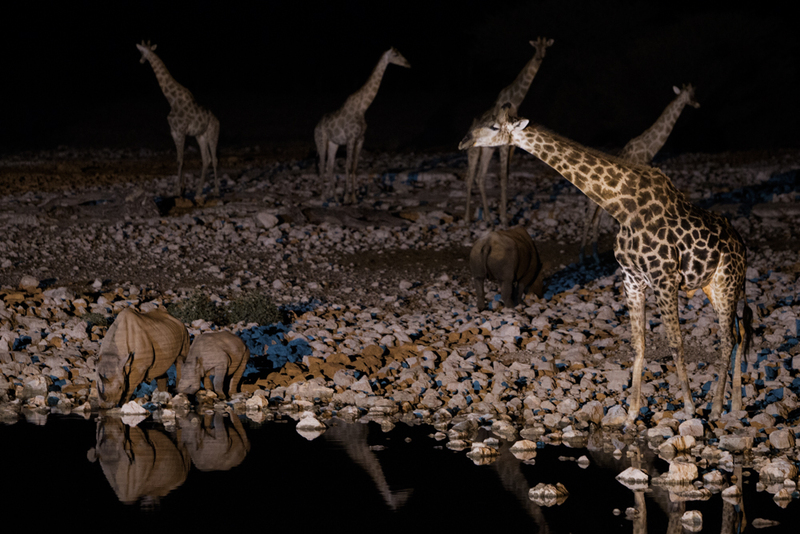 2013 – Giraffes on guard. A rhino and her calf are probably relaxed with so many giraffes looking around in all directions. Giraffes are very nervous while drinking water and make absolutely sure there’s no danger around before they spread their forelegs and uneasily drink water. 2013 – Lord of Olifantsbad. The young male in-charge of the Olifantsbad pride proudly wears a few battle scars as he sits near the main waterhole in its new territory. 2012 – Rhino reflection. 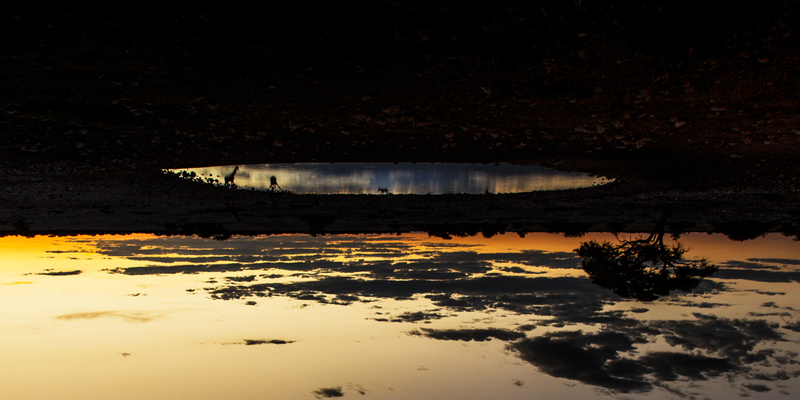 Rotating the camera upside down to get pictures at the Okaukuejo waterhole is a nice way to get some very interesting silhouettes. 2013 – Lions at Okondeka. 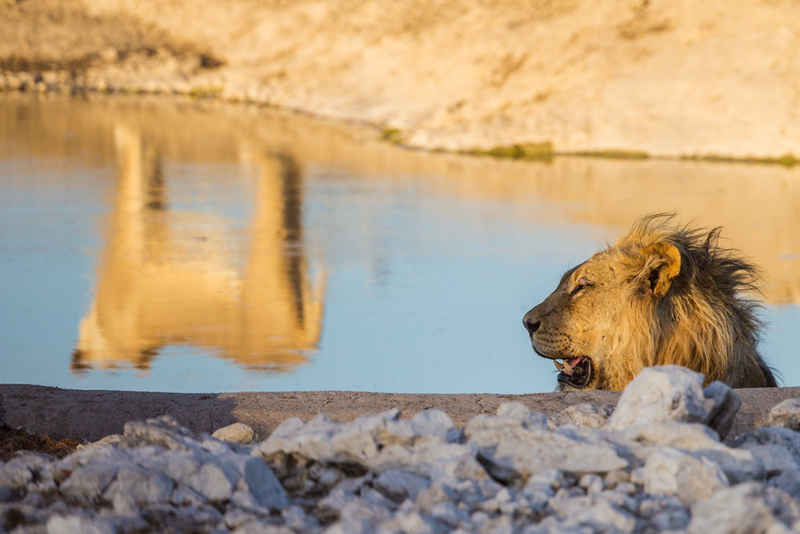 The large Okondeka pride settles down on the edge of the Etosha pan. As the one of the few sources for fresh water for hundreds of square miles, herbivores must come for a visit and the lions know that! 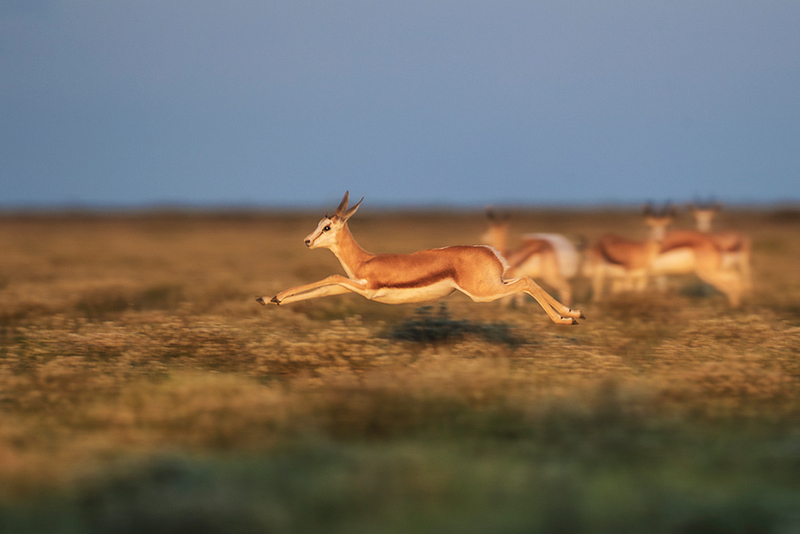 2014 – Speeding springbok. A young springbok cruising at full speed. 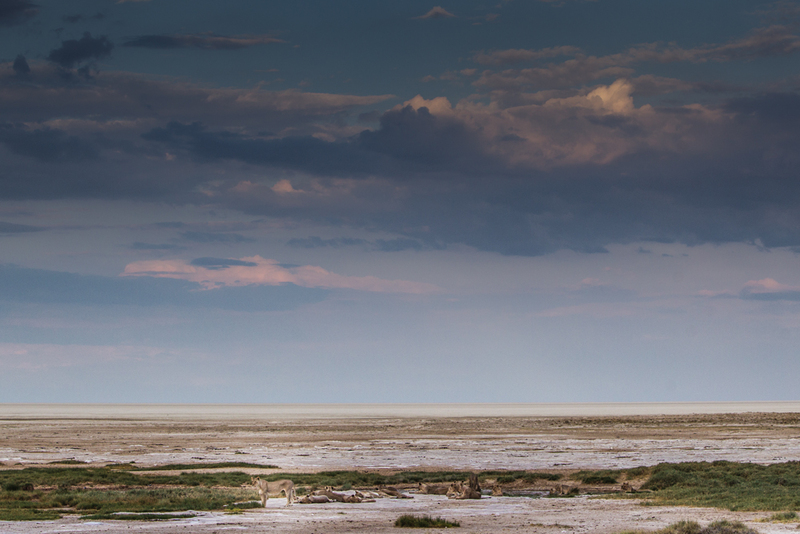 I still feel much the same way as I did when I wrote about the things I will miss about Etosha. While looking at all the photographs this evening, I was missing it more. I really wish I can make a trip there soon.